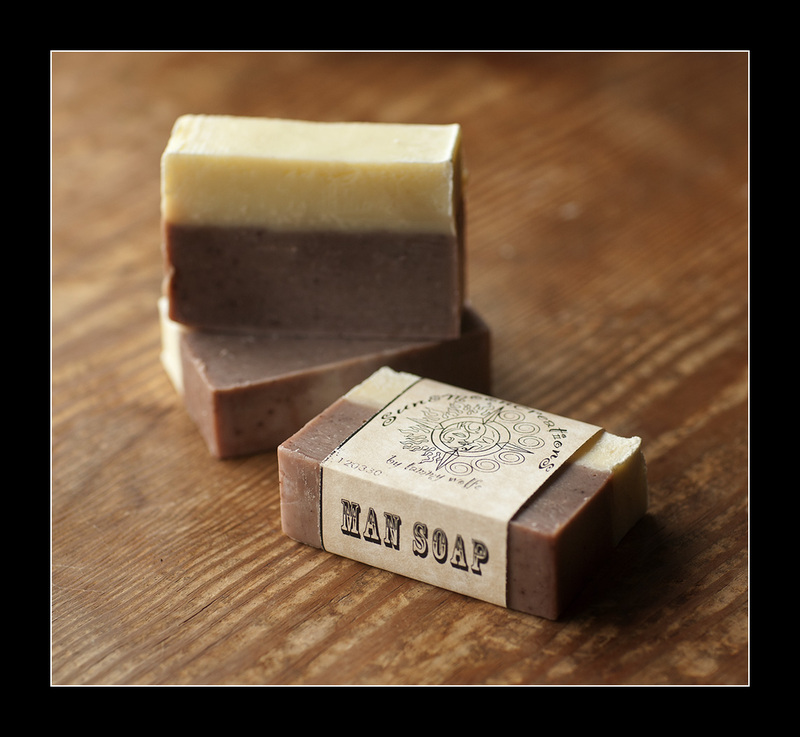 I wanted to formulate a soap recipe that would be especially appealing to men, so I came up with this soap I'm calling "Man Soap". The scent in this soap is a combination of essential oils that combines woodsy and spicy. The rich brown and light cream tones even make this bar look manly. 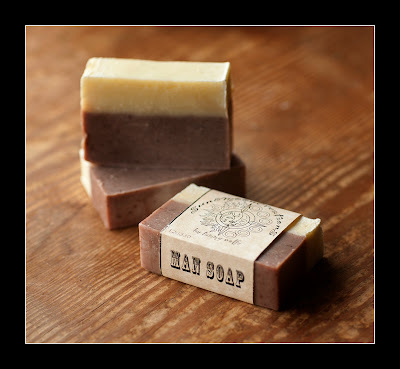 This soap makes a great gift for the man in your life (or for yourself! ).